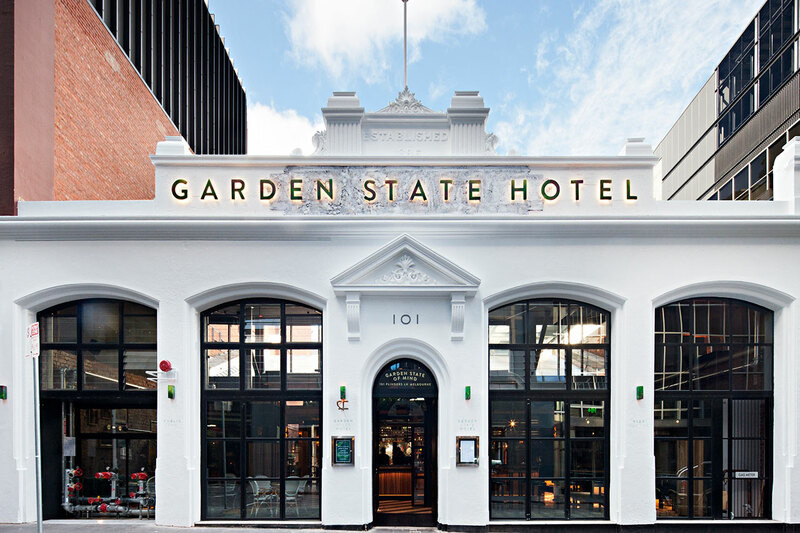 Located at 95 Flinders Lane in downtown Melbourne (Victoria, Australia), the Garden State Hotel is a gem. 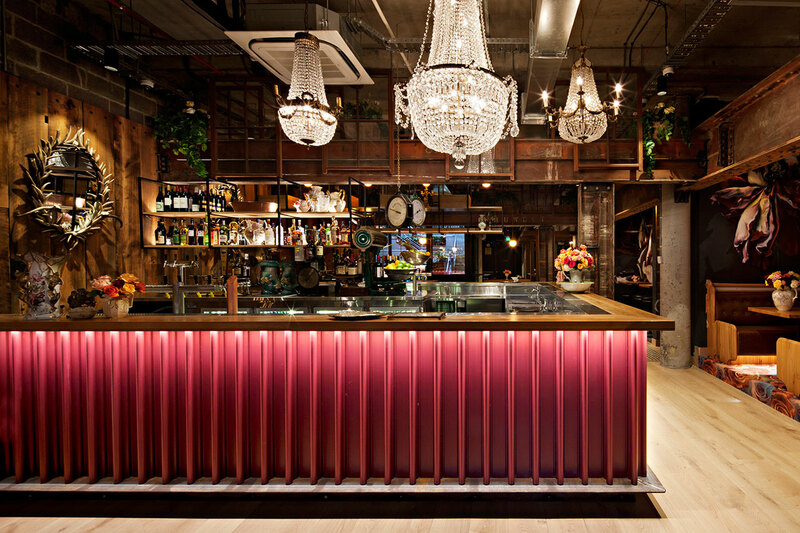 Owned and operated by hospitality group, Sand Hill Road, this multipurpose bar and hospitality venue opened in 2015 and is housed in a four storey, heritage building transformed by Sand Hill Road's frequent collaborators, Technē Architecture + Interior Design, and built by Schiavello Constructions. The beautifully articulated exterior of this former Victorian era textile mill has been whitewashed while and the original sawtooth roof has been preserved; most other aspects of the 2,000 square meter structure however have received drastic makeovers. And that's putting it mildly. 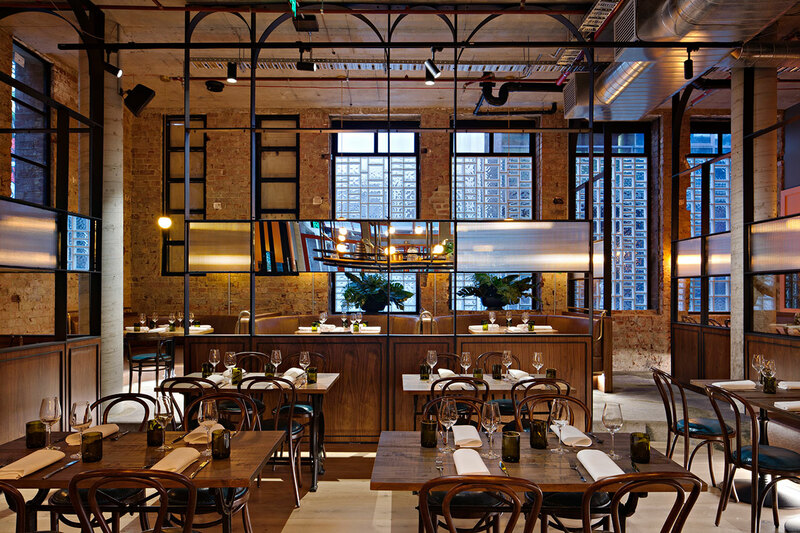 With the capacity to host up to 840 guests at a time, GSH was conceived in order to provide a wide range of hospitality solutions from casual drinks, intimate dinners, fun family celebrations and expansive corporate events as well as used as "an extension of domestic space" by its patrons. 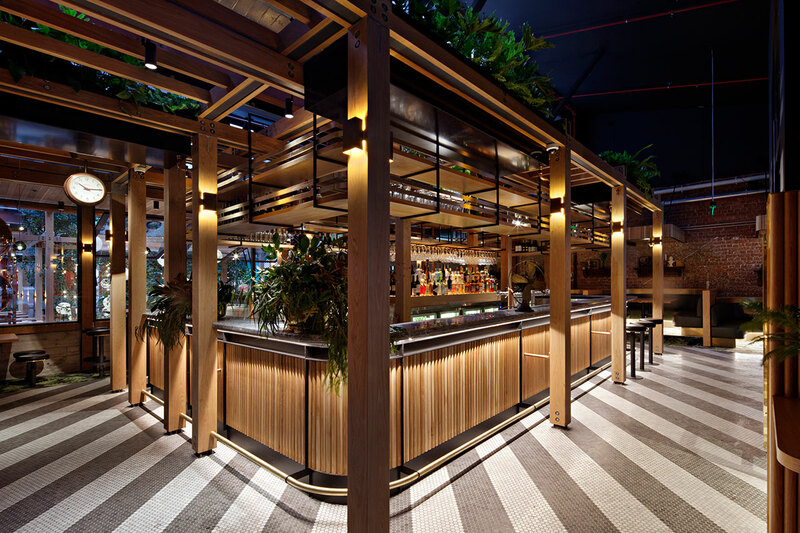 This itself translates into multiple venues within the one venue, and while each distinct in purpose and design, there is an easy, welcoming flow throughout that encourages interactions. 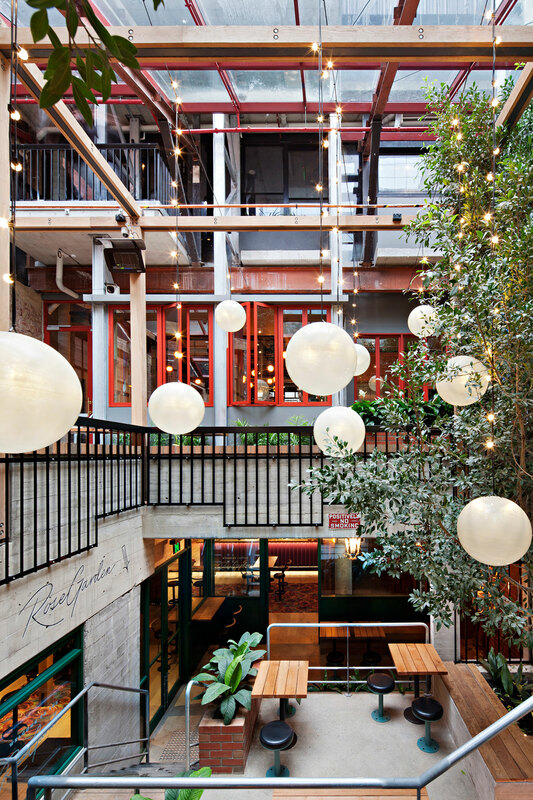 The venue is named in honor of the state of Victoria's century-old title, "The Garden State," reflected in its central design inspiration which Sand Hill Road director, Matt Mullins comments upon: "We wanted to provide a lush oasis for busy city workers and residents surrounded by the concrete jungle." Hence, the entire building centers around and radiates off the Beer Garden. 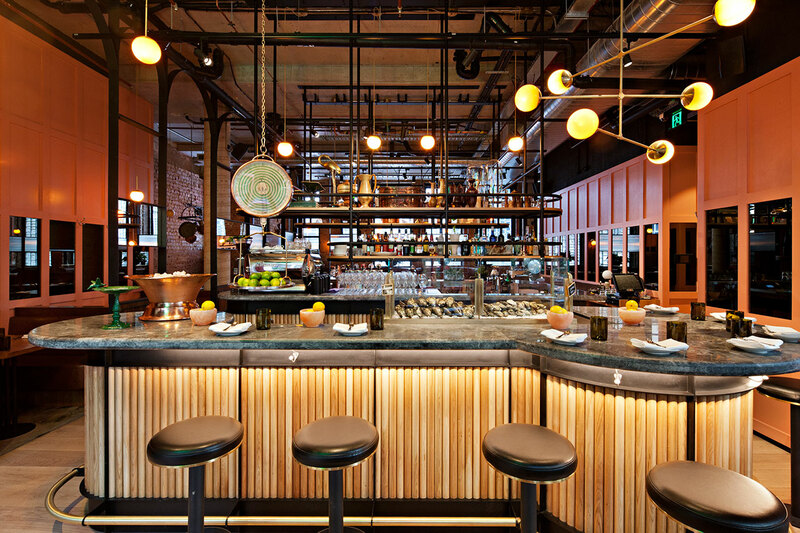 This verdant spot connects the street level to the lower basement level and features "cascading seating zones" served by a single bar boasting a striking row of copper beer tanks. Lunch time hunger pangs can be abated with a quick stop at the brightly colored Kiosk, for a tasty toasted sandwich on-the-go. The Rose Garden is a a cozy cocktail bar featuring rose printed carpets, crystal chandeliers, antique vases filled with fresh flowers and carved wood mirrors above the bar. Down the stairs, the Rose Garden is a a cozy cocktail bar that looks like a quaint country home that has been there forever, features rose printed carpets, crystal chandeliers, antique vases filled with fresh flowers and carved wood mirrors above the bar. 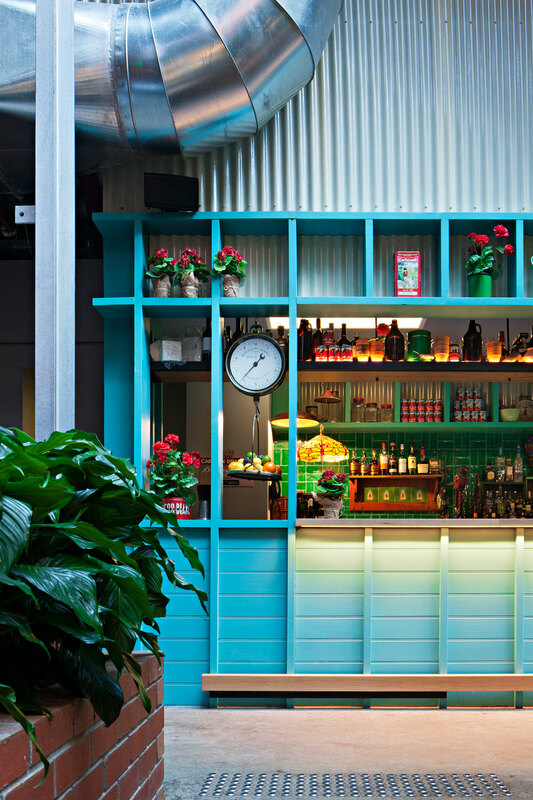 Meanwhile, both the Public Bar (the walk-in, watering hole on street level, to the one side of the Beer Garden) and the Garden Grill (the New York-style grill on street level, to the other side of the Beer Garden) exist on a whole other décor plane. In both these spaces, although individuality reigns, the common denominator is modern cool, with linear and minimal design elements. 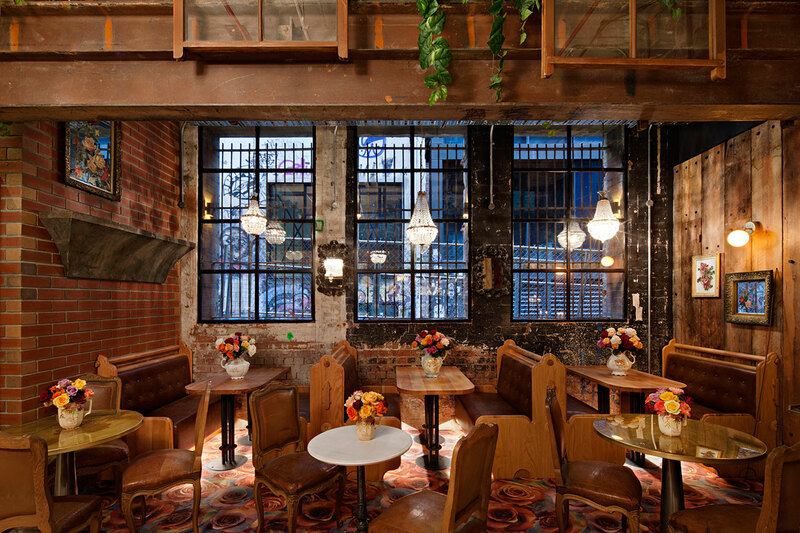 Think light wood, brick walls, and chic touches that unmistakably interpret a "citified" version of expansive, yet intimate. 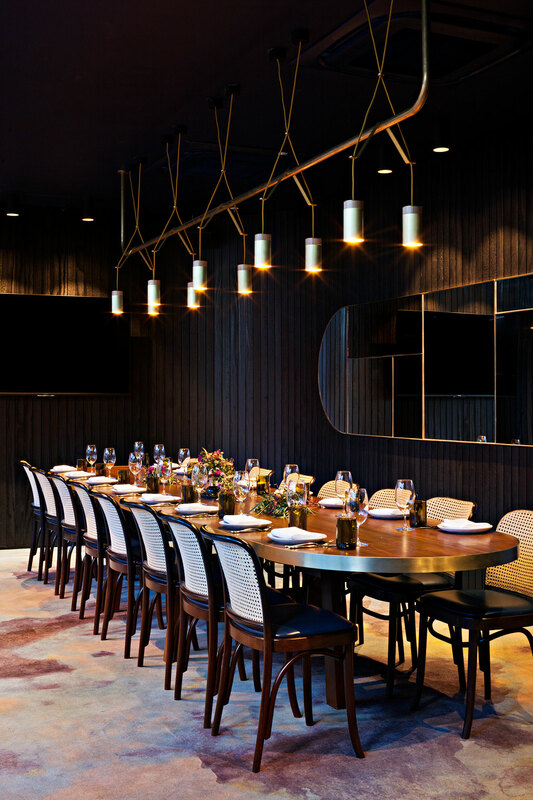 Light filled, with views overlooking both the calming garden below and the bustling city outside, finally, the more private Observatory and Balcony Dining Room are located on the top floor and are available for private parties of up to a 120 people, and up to 20 people, respectively.